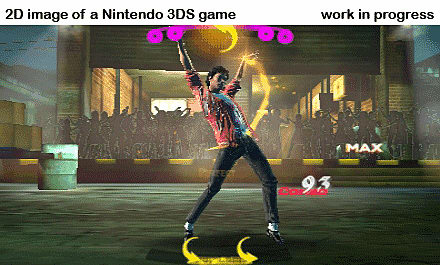 For the first time in a video game, experience the excitement and the magic of Michael Jackson’s music videos in 3D. 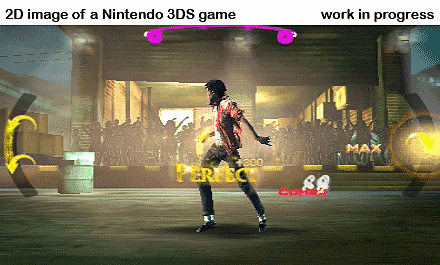 Michael Jackson The Experience for the Nintendo 3DS invites Players on a spectacular interactive journey through 15 of the King of Pop’s most legendary short films. 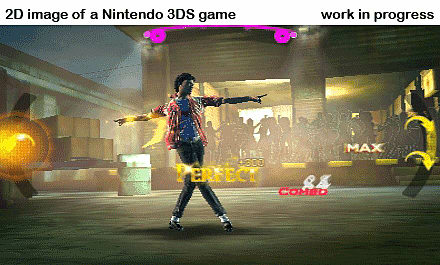 Built from the ground up for the Nintendo 3DS, and true to Michel Jackson’s ground breaking and visionary work, Michael Jackson The Experience introduces a brand new way of playing rhythm games, an experience as close as it gets to “dancing” on a portable console. Experience a more organic and natural way to play rhythm games. 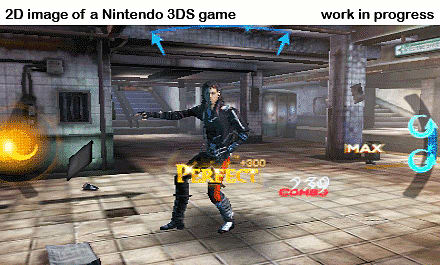 With the Nintendo 3DS stylus, draw a series of shapes on the touch screen, according to the beat and the choreographies of the Michael Jackson avatar on the screen. Chain up moves to progressively unlock spectacular special effects and other animated background elements. 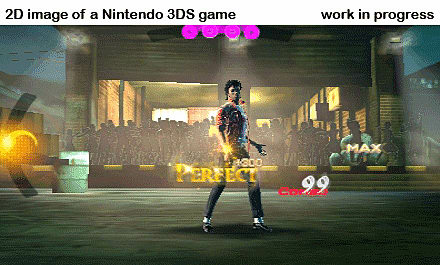 During timed Freestyle moments, players can even create their own choreographies from a set of classic Michael Jackson moves. Rediscover environments from 15 of Michael Jackson’s classic music videos in stereoscopic 3D. Perform legendary choreographies in faithfully recreated signature settings: the ghoul-infested graveyard from Thriller, the luxurious Palace of the Pharaoh from Remember the Time, the seedy underworld nightclub from Smooth Criminal, and many more. And when it’s time to take a break from the dancing, gorgeous cinematic cut-scenes re-tell these fantastic stories with eye-popping details and special effects. Dance your way to glory. Pull off flawless performances and beat multiple varied challenges. Climb up the ranks to become the ultimate pop legend. Unlock tons of cool collectibles and rewards including alternative outfits, power-up gloves to improve your scores, additional environmental effects, badges for bragging rights, and more. Compare your scores with others in song-based leaderboards that auto-update when you cross paths with other owners of the game. 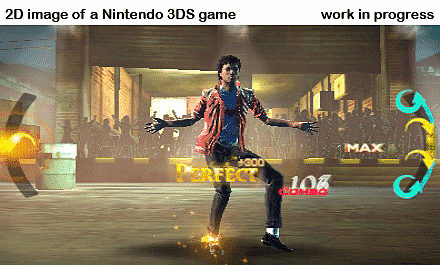 Whether you are a very casual player, or a seasoned music game veteran you will enjoy Michael Jackson The Experience. 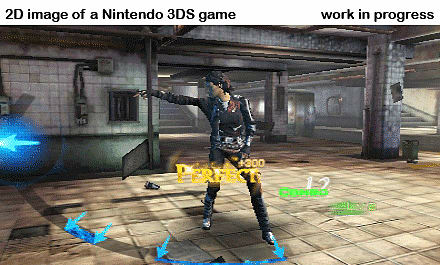 Three difficulty levels make the game accessible and enjoyable for everyone, with the hardest difficulty setting being truly addictive and challenging to master.